Have you ever observed the change in user’s behavior with respect to availing beauty or salon services over past 3 to 5 years? 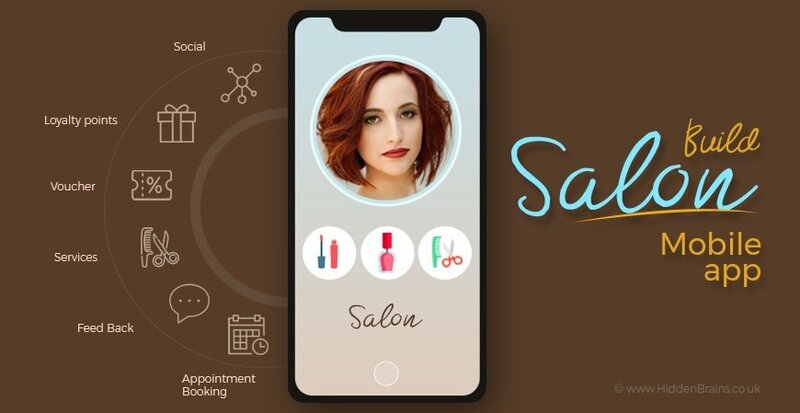 People first seek for online service or solution – be it booking a seat at salon via hair Salon app for procuring beauty services, reserving a table at restaurant, booking movie tickets or even flight tickets. Such drastic change in user’s behavioral pattern has triggered the trend of building salon mobile app in beauty domain for promoting hair and skin services. What’s the Need of Building Hair Salon App? Beauty services provider being a part of on-demand niche, are rapidly opting for mobile app solutions to grow their business. No matter whether you own a standalone small salon or big one with many branches, having a salon mobile app would have a direct impact on growth of business. All key tasks such as managing staff of beauticians, tracking their work record, handling multiple customers at a time and advance appointment booking are made possible through app. Salon business experts understand this inclination of people towards mobile and are now focused on building mobile app for spa & salon. The only matter of concern in the process of going mobile is the cost of building salon booking app. Price associated with building mobile app depends on a lot of factors – operating system for which app is to be developed, complexity of app and features to be incorporated in hair salon app. The cost to build a salon app depends on the features that needs to be included. More or less, the cost lies between $18000 to $35000. With agile development methodologies, a salon booking app for iPhone, can be built within a time frame of 6-10 weeks, barring additional requirements. The main aim of mobile app for salon is to offer customers the flexibility to book a prior appointment for preferred hair or beauty service. Mobile app should display available time slots for customers to book appointments as per their schedule. As it is possible for customer to book an appointment through mobile app, there is no need to waste time in waiting in long queue to avail the beauty service. Value time of your customer and manage them in limited space of your salon through online appointment booking. Customers are usually selective when they undergo hair and beauty treatment. They do not like being attended by any random beautician. Empower your customer to choose attendant while booking for hair or beauty service through mobile appointment booking. Mobile app shows the availability of beautician as per customer’s selected time slot. This ensures that the preferred beautician is available to serve the customer when he/she arrives at salon. As appointments are booked online, admin can have a clear view of how many customers are sure to visit the salon and which attendees would serve them. It also helps in managing few random visiting customers, thereby ensuring that no one has to wait for longer time to avail hair and beauty services. Admin can get insights on which services are popular among customers and accordingly offer discount deals to customers. Data collected in the backend is also helpful in building strategy for conducting business more effectively. With mobile app, beauticians can stay updated of advance bookings and accordingly make preparations for it. There are maintained records of customers handled by each beautician, which helps in tracking the efficiency of resources. Transparency of work, productivity and efficiency of each beautician help salon owners to identify members that perform extraordinarily and give them appraisal. It also helps in tracking workload of each beautician to analyze whether the salon is in need of another resource or can manage it with same staff members. Based on how many features you want to include in mobile app, the cost of building salon booking app drastically varies. Which platform you plan to develop an app for? Android or iOS? If your audience is mixture of Android and iOS users, consider building a hybrid app that works on multiple platforms. Another factor that affects the cost of development is whom you approach to get this work done – whether you hire developer or handover the project to trustworthy app development company. Hidden Brains is a reliable mobile app development company that is serving more than 39 industries since 2003. Being house to most talented resources, Hidden Brains has helped several companies to skyrocket their businesses to new heights. To know about the cost for developing salon mobile app, consider requesting for a free quote. Business development executives would get in touch with you soon to discuss your requirements and its future prospects. Get in touch with this leading salon mobile app development company today!